Religion and the nation-state in post-Soviet Central Asia are going through deep and interrelated processes. Recently, several anthropological works have appeared about state, religion, and identity in Central Asia. However, my focus is on the “ground level,” where religion, state, and post-Soviet identity building ideology are interwoven in multiple types of relations. In Kazakhstan, several complex processes of nation-building and religious revival are embedded. In Negotiated Dictatorship, Christian Krohn-Hansen points out that modern anthropology of state-building is focused on the analysis of the cultural forms and practices that constitute states. 1 Two examples taken from recent field work illustrate these processes of nation-building and religious revival: a jubilee celebrating a saint and the use of images of saints and shrines in a local political campaign. This data is based on field work research done in 2012-2014 near the Aqkol aul (village) shrine complex. Aqkol is located around 400 kilometers from the Kazkahstani capital, Astana, and 90 kilometers from the nearest coal mining town, Ekibastuz. 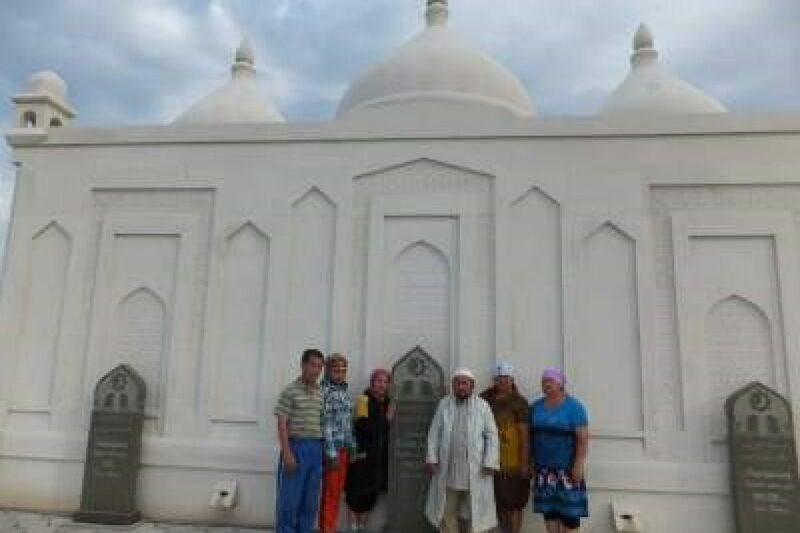 Aqkol is prominent because of its association with the sacred lineage of a Qozha family (qozha or khodja is the generic term for the sacred lineage family in Islam) and the nearby shrine complex named after its legendary founder, Isabek Ishan. Sergey Abashin – Central Asian Migrants in Russia: Will there be a Religious Radicalization?